When your a late night person, you know the usual spots in home but sometimes you have to investigate a little when it comes to morning and afternoon places. Bea Bea’s Cafe is one of those breakfast/lunch places. It not a fancy place or is it a well advertised place. You really don’t know where it is unless you happen to find it when you are shopping at Von’s in the Lakeside shopping center. The few times I have been up and in the area early you can see the place is always packed with many times people waiting. It has a large breakfast and lunch menu with a good variety and many healthy choices. 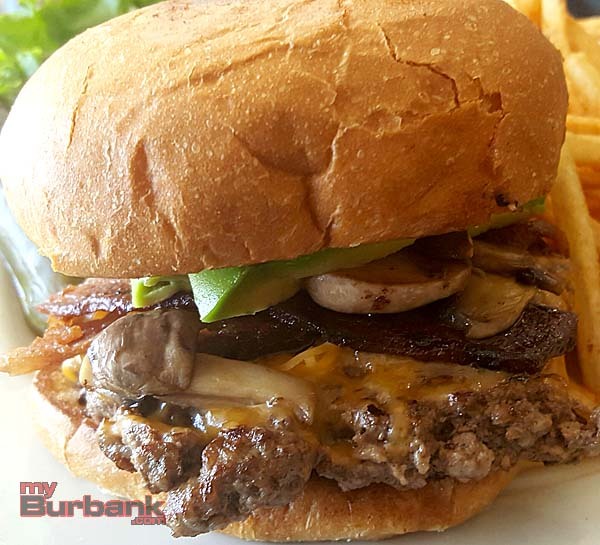 I ordered the ‘All Time Favorite’ Burger which consisted of a patty with bacon, mushrooms, avocado with jack cheese. Of course I asked for cheddar instead. Creature of habit as you have figured out by now. When the burger came it looked like a winner. I have been fooled before by great presentations but not this time. The patty was hand formed and cooked medium rare as I had requested. You could see all the ingredients stacked well inside. The bun was well sized but had no dressing. All that was available on the table was ketchup. Once I got ready to pick it up I suddenly was worried. The patty was directly on the bottom bun and the bottom bun, although toasted, was still starting to look a little flimsy. I have already nailed two locations for bun failures and was hoping not to have a third. The burgers taste was great, not only was the patty fresh but has been seasoned to give it a great taste. The amount of cheddar cheese was a little weak but passable. The avocado, bacon and mushrooms all provided a great taste with each bite. Thank goodness as I approached the end, the burger’s bun was still intact. It was getting soggy with the patty’s juice but still kept its integrity until the final bite. A small leave of lettuce under the patty would solve this problem so easy. Overall, this was a really great burger with everything fresh and locally sourced. 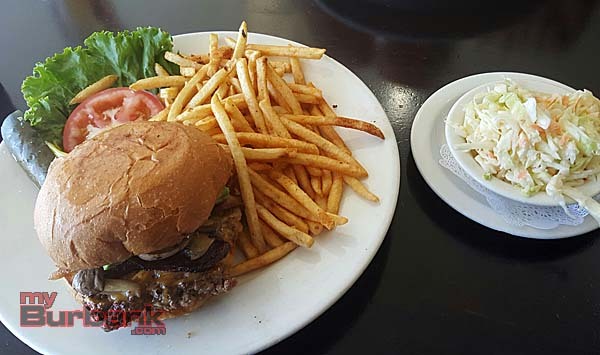 This is not a cheap burger at $12.95 (with french fries included) but the price was worth the quality of what you got. Side Notes: Tried the cole claw and while it was freshly made, it has no zip to it and was a little bland. The french fries came well done and were okay with a little seasoning on them. This is a place worth trying not only for the burgers but also the entire lunch and breakfast menu. Everything I could see leaving the kitchen was plentiful and looked real good. 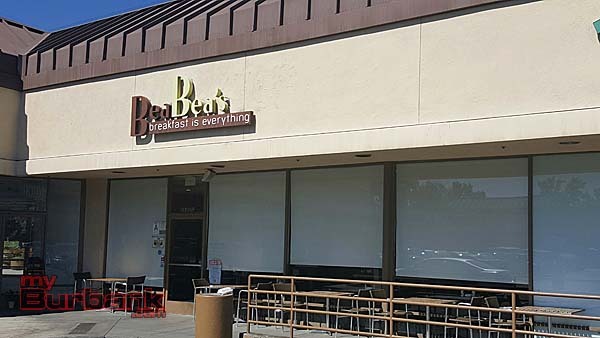 Bea Bea’s Cafe is located at 353 N. Pass Ave. – inside the Lakeside Shopping Center. 818 846-2327. Open 7 days a week, 7 a.m.-4 p.m. This entry was posted in Burgers, News and tagged Bea Bea's Cafe, Burger Review on July 23, 2016 by Burger Dude.